The range of speech sounds people can make was generally thought to be fixed since modern humans appeared about 300,000 years ago, but this new study challenges that theory. The findings suggest that sounds such as "f" and "v" -- common in many modern languages -- are a relatively recent development linked to humans' eating habits. The teeth of adult humans used to meet in an edge-to-edge bite in order to cope with harder and tougher foods. 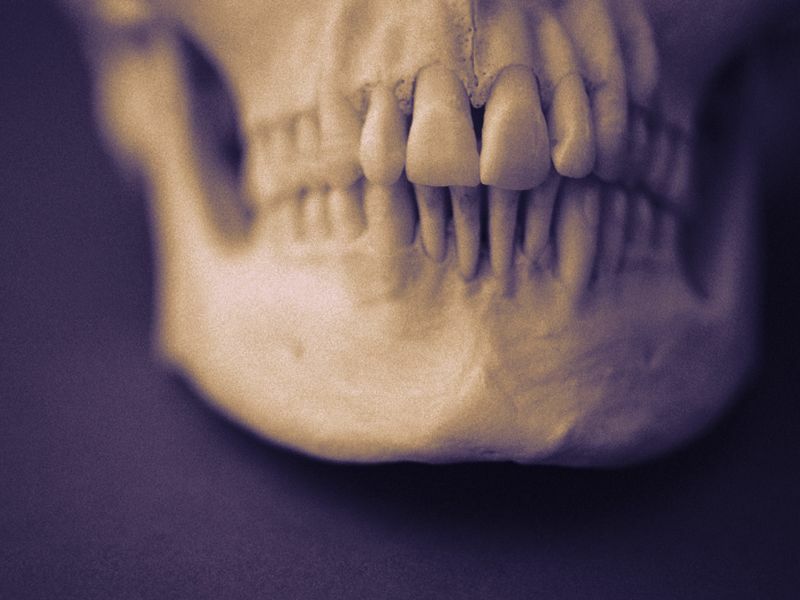 As softer foods became available, the overbite that had previously disappeared by adulthood remained, with upper teeth slightly in front of lower teeth, the researchers explained. This enabled the emergence of a new class of speech sounds called labiodentals, now used in half of the world's languages. These sounds are made by touching the lower lip to the upper teeth, as when pronouncing the letter "f."
"In Europe, our data suggests that the use of labiodentals has increased dramatically only in the last couple of millennia, correlated with the rise of food processing technology such as industrial milling," said study co-first author Steven Moran, a linguist at the University of Zurich in Switzerland. "The influence of biological conditions on the development of sounds has so far been underestimated," he added in a university news release. Moran's team based its conclusion on insights, data and methods from multiple branches of science, including biological anthropology, phonetics and historical linguistics. According to project leader Balthasar Bickel, the study results "shed light on complex causal links between cultural practices, human biology and language." Bickel is a professor of comparative linguistics at the university. "They also challenge the common assumption that, when it comes to language, the past sounds just like the present," he said in the news release. The findings and the new methods used to conduct the study could help linguists answer a number of unsolved questions, including how languages actually sounded thousands of years ago.